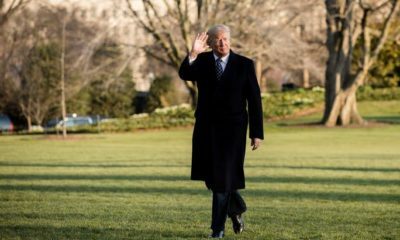 WASHINGTON, April 4, 2019 — The White House’s latest move to protect American industries and consumers from counterfeiting could potentially give President Trump an opening to hit back at some of his favorite targets. National Trade Council Director Peter Navarro on Wednesday announced that the President had signed a Presidential Memorandum to combat “a very serious problem” — the trafficking of counterfeit goods through online marketplaces like Amazon, AliBaba, and eBay. “President Trump has decided that it’s time to clean up this wild west of counterfeiting and trafficking,” said Navarro. Navarro told reporters that the administration’s strategy for combatting counterfeit goods would follow what is now a well-established process of using a Presidential Memorandum to order a study to determine what executive actions can be taken to accomplish a particular goal, followed by an Executive Order to implement the actions recommended by the study. Consumers, he said, have a 50 percent chance of receiving counterfeit goods through online marketplaces like Amazon, citing data collected during a Customs and Border Protection operation. But shortly after that he admitted that administration officials “certainly don’t know with any certainty how much counterfeiting is going on,” from where the counterfeit goods are coming, or how they are making it into the United States. Still, Navarro said sites operated by companies like Amazon represent the “central core” of the problem and suggested that the administration is looking for ways to punish them if counterfeit goods are sold through their platform. 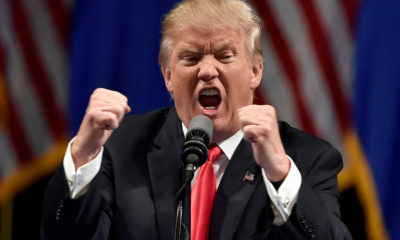 Trump frequently suggests that Bezos’ purchase of the venerable newspaper — which he often derides as the “Amazon Washington Post” or as a “Lobbyist Newspaper” — was meant to allow him to intimidate politicians and prevent the retail giant from being subject to regulation. 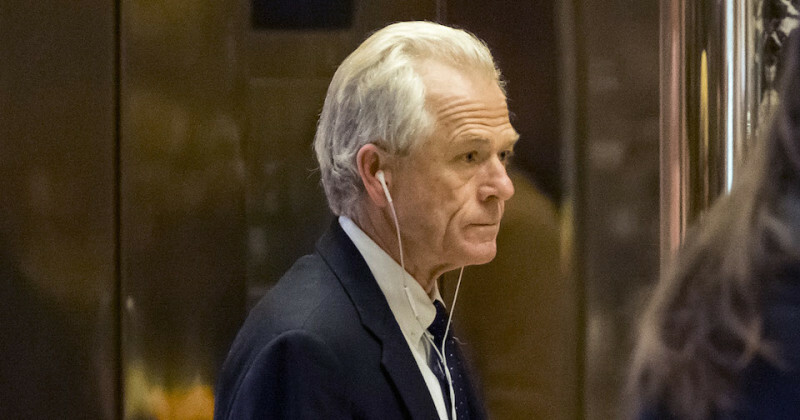 Asked whether there was a chance that Trump’s enmity for Bezos played a role in his decision to go after online marketplaces, Navarro replied that there was “absolutely zero” chance that Trump’s memorandum is a way of targeting Amazon. 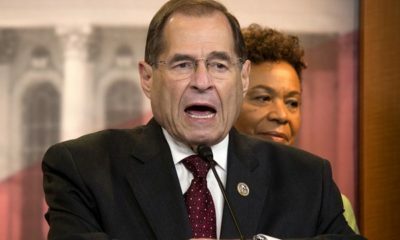 While the President cannot unilaterally change laws to make third-party marketplace owners liable for the goods sold on their platforms, the official said the study ordered by the memorandum would guide the administration’s next steps, including possible legislation. An Amazon spokesperson that BeltwayBreakfast reached by email declined to address the possibility that Trump could once again be targeting Amazon, but noted in a statement that the company “strictly prohibits the sale of counterfeit products” and welcomes support from law enforcement. 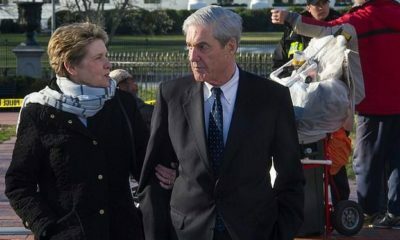 WASHINGTON, March 6, 2019 – On Wednesday, 46 House and Senate Democrats moved forward with legislation that would codify so-called “network neutrality” legislation into law, bypassing a court dispute over their repeal by the Trump administration Federal Communications Commission. The Save the Internet Act of 2019 would once re-instate network neutrality rules using an approach similar to last year’s attempt to use the Congressional Review Act to disapprove of the FCC’s repeal of net neutrality. Last year’s CRA passed the Senate, but was never brought up for a vote in the House by the then-Republican majority. Instead of enacting statutory prohibitions against paid prioritization, blocking and throttling of internet traffic by service providers, thereby writing network neutrality principles into what President Lyndon Johnson once called “the books of law,” the Save the Internet Act would declare that repeal order adopted by the FCC in December 2017 “shall have no force or effect,” and would prohibit the agency from reissuing any rule that is “substantially the same” as the one which repealed the 2015 rules, unless specifically authorized by an act of Congress. If signed into law by President Donald Trump, the Save the Internet Act would literally turn back the regulatory clock by restoring the network neutrality regulations which were in effect on the last day of the Obama administration. The similarities between this latest legislative effort to restore the Obama-era network neutrality rules and last year’s Congressional Review Act resolution go beyond the legislation’s text. The bill’s lead sponsors are Rep. Mike Doyle, D-Penn. 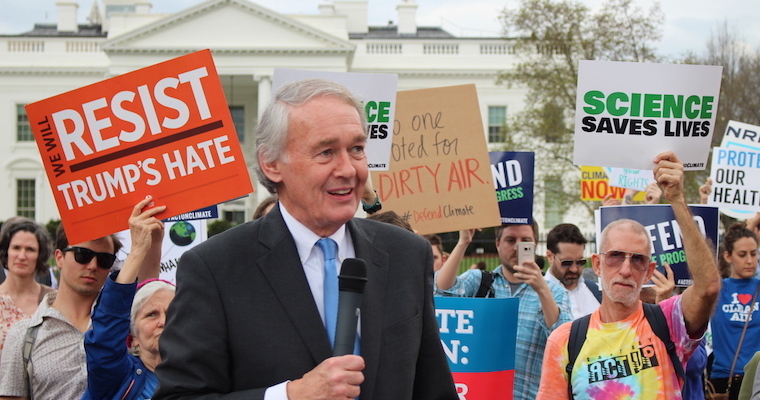 and Senator Edward Markey, D-Mass., the duo behind the attempt to use a Congressional Review Act resolution to undo what was one of FCC Chairman Ajit Pai’s top priorities. 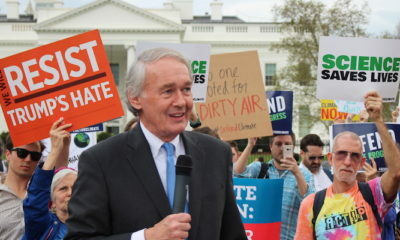 “Net neutrality ensures that when you pay your monthly bill to your internet service provider, you can able to access all content on the web at the same speed as your neighbor or big corporations,” said Markey, who has been a passionate advocate of strong network neutrality protections since the George W. Bush administration. Like last year’s Congressional Review Act resolution, this year’s Markey-Doyle team-up has the support of Democratic leadership in both the House and Senate. FCC Commissioner Geoffrey Starks said he was “pleased” with the proposed legislation. “I continue to believe that the FCC’s 2015 Net Neutrality rules were the right approach and the bill introduced today takes us back in that direction—a direction that will empower the FCC to keep the internet open as a gateway to opportunity for students, job seekers, consumers, creators, and businesses,” said Starks, a Democrat and the newest member of the FCC. Representatives from Markey’s office did not respond to BroadbandBreakfast.com’s inquiry as to why Democrats were trying to restore old regulations rather than codify net neutrality protections into statutory language. One longtime telecom industry observer suggested that the “simple, consensus approach” spoken of by Public Knowledge’s Lewis may be on shaky legal ground. 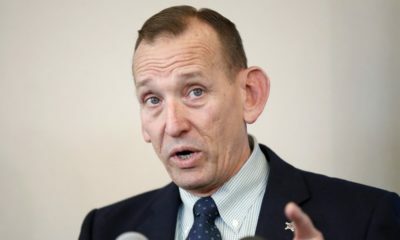 Szoka suggested that Democrats, who managed to peel away three Senate Republican votes during last year’s CRA effort, are setting themselves up to use the copycat Markey-Doyle bill as a political bludgeon in hopes of gaining those Senate seats after the 2020 election. He also noted that regardless of motivations, the legal basis on which the Democrats’ bill would revive the 2015 network neutrality rules is potentially shaky. “Rarely, if ever, has such a short bill raised so many obvious legal problems,” Szoka said, noting that the Congressional Review Act — the authority on which the Save the Internet Act is based — allows Congress to strike down rules issued by regulatory agencies like the FCC, but not the orders by which an agency interprets provisions of a statute. “Simply reviving a defunct regulatory order isn’t legislation, and probably wouldn’t stand up in court when challenged,” he said, adding that the bill is likely dead-on-arrival in the Republican-controlled Senate. Photo of Hans Vestberg at CES2019. LAS VEGAS, January 9, 2018 – Here at the Consumer Electronics Show, it’s impossible to avoid being bombarded by the energy – real and imagined – surrounding the 5G wireless standard that is just beginning to be deployed. 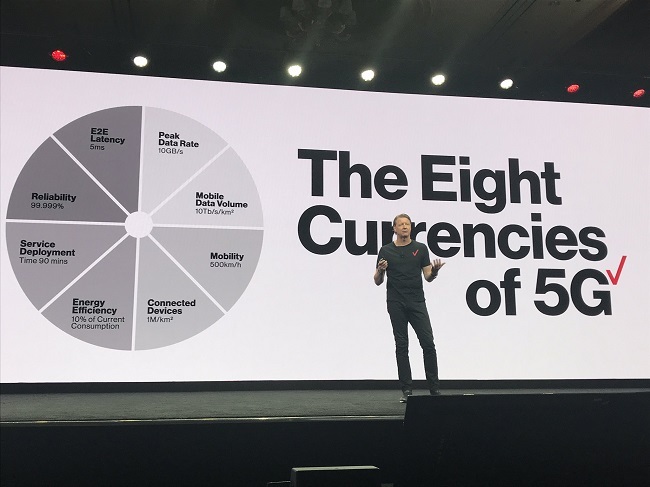 Verizon CEO Hans Vestberg made the communications company’s efforts to nurture, promote and deploy 5G the sum and substance of his Tuesday afternoon keynote at the show. And in a series of panel discussions on Wednesday, leaders from the technology, media, education and other industries emphasized just how pumped they are for this next generation of wireless connectivity. Verizon boasts the first commercial deployment of 5G in October 2018, when it went live with fixed-wireless deployments using a 5G networks in Houston, Indianapolis, Los Angeles and Sacramento. AT&T followed in December, with what it called the first mobile 5G deployment, to parts of 14 cities including Atlanta, Charlotte, Dallas, Houston, Indianapolis, Jacksonville (Fla.), Louisville, Oklahoma City, New Orleans, Raleigh (N.C.), San Antonio and Waco. The 5G wireless standard includes transmission both at higher-band frequencies, in the so-called “millimeter wavelength” bands above about 25 Gigahertz (GHz), and in the frequencies below 6 GHz. AT&T deployment was in this latter bandwidth. Speed and Throughput: Peak data rates of 10 gigabits per second and mobile data volumes of 10 terabits per second per square kilometer. Energy Efficiency and Service Deployment: 5G network equipment and devices will consume only 10 percent of the energy consumed by 4G network equipment and devices, and specialized services that will operate on the 5G network will take much less time to implement. The very first 5G customer, Houston resident Clayton Harrison receiving Verizon fixed wireless service, made a cameo appearance during Vestberg’s keynote. During the demonstration, he conducted a live speed demonstrating service at 690 Megabits per second (Mbps), which he described as the “low end” of the 600 Mbps to 1.6 Gigabits per second broadband speed that he normally receives. WASHINGTON, December 11, 2018 – The CEO of search engine Google came to Washington on Tuesday and politely rebutted all charges that the world’s largest search engine is biased against conservative viewpoints. 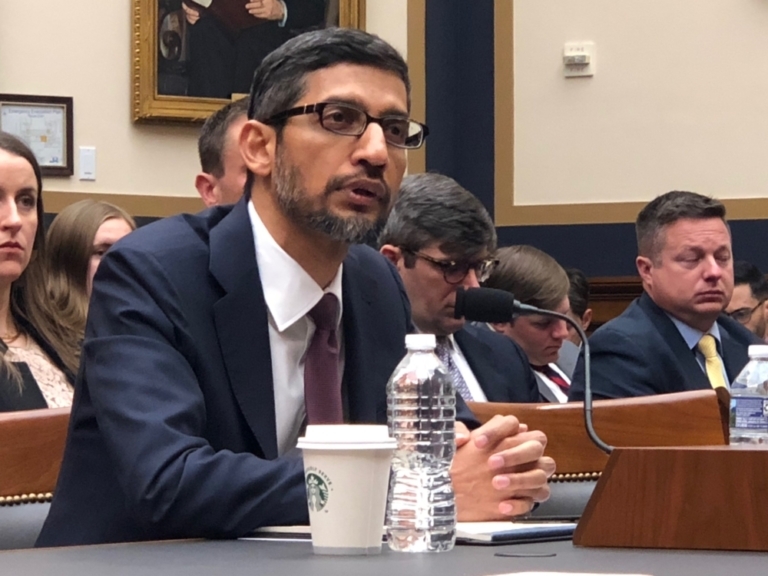 In the calm and controlled voice of an engineer, CEO Sundar Pichai said, “Our products are built without any bias,” responding to a question of the House Judiciary Committee Chairman. “We don’t build partisan features,” he repeated later to another Republican member of the committee. Indeed, Pichai had to contend with an almost-uninterrupted narrative – fed largely, but not completely, by members of the GOP – that Google’s search engine results were in some way systematically biased. Moreover, as the head of one of the country’s leading information technology companies, Pichai was robustly challenged on issues ranging from the extent of Google’s surveillance-like data-collection to the existence of prototype search engine that returned restricted results – and is apparently designed to cater to the communist China market. Pichai didn’t face as much overt hostility as was experienced by Facebook CEO Mark Zuckerberg when he sat down for his grilling before the same committee after the Cambridge Analytica data privacy scandal earlier this year. But Pichai wasn’t welcomed very warmly, either. On privacy, Pichai said that he, like Facebook CEO Zuckerberg, supported Congress considering data privacy legislation. Does Google exhibit bias in its search engine results? Pichai insisted that Google’s algorithms are designed to accurately reflect what people are talking about online at any given time. Google is not “the internet” so much as representing what is on the internet at any given time, he seemed to be saying. “Any time you type in a keyword, we crawl copies of billions of web pages, and we take the keyword and match it against pages for relevance, freshness, popularity, how others are using the it, and we try to rank and find the best” pages for that particular keyword, he said. Rep. Zoe Lofgren, D-Calif., used this concept to explain why, when an individual conducts a search for the word “idiot” in Google, the image of Donald Trump comes up repeatedly. Google doesn’t return these results because Google is making this commentary of the president, Lofgren said. Rather, Google is reflected what others internet users are saying. Rep. Ted Lieu, D-Calif., made the same point when noting that search results of most of his fellow colleagues were not overtly imbalanced – with the exception of Rep. Steve King, R-Iowa (not a member of the Judiciary Committee) – but has recently made controversial statements about figures linked with white supremacy movements. “If you are getting bad search results on Google, don’t blame Google, blame yourself,” Lieu said to his Republican colleagues. Still, Republican after Republican had a story to tell about a gripe they had regarding Google results. Many lobbed in questions about Google’s privacy and market power. Rep. Lamar Smith, R-Texas, refused to believe that bias was not present in the curation of political content when more than 90 percent of the searches for Donald Trump produce negative stories on the president. He also referred to pro-Trump content being labelled, or “flagged,” as hate speech. “This doesn’t happen by accident, but is baked into the algorithms,” said Smith. Replied Pichai: “We use a methodology about what is being said about a topic at any given time. Rep. Darrell Issa, R-Calif., criticized an apparent divergence in the rates that are charged for the keywords being used by Republican candidates versus Democratic candidates. Nonethless, Pichai committed to following up with Issa to looking at the reasons for the divergent pricing of keywords for Republican versus Democratic candidates. Pichai was also criticized repeatedly – by representatives of both parties – for its sweeping data-collection practices, and for a reported prototype of a search engine for the Chinese market. Rep. Keith Rothfus, R-Penn., finally got the most information out of him, when he acknowledged the existence of a prototype products for “what search would look like” in a country that require mandatory content filtering. At one point, he said, more than 100 Google engineers were working on the project.